NASA performed the first study of its kind with two identical twins, where one twin, Scott Kelly, lived on the International Space Station (ISS) for a full year, while his twin brother, Mark Kelly, stayed on Earth. Both identical twins were subjects to a wide range of test and investigations before, during and after the mission. The aim of this study was to gain further insight into the effects of extended time in space on the human body. It was found that many aspects of human physiology are impacted, which is not surprising per se. Staying in space, after all, is a tremendous amount of stress and the body needs to adapt. However, some of the results are immensely interesting. The preliminary analysis of the collected data found that telomers are profoundly affected by staying in space. Telomers are the endings of the chromosomes and their function is to protect the coding DNA of the chromosomes from truncation during cell replication. This truncation of the DNA is an intrinsic characterisation of cell replication and happens with every replication. Telomers do not contain coding DNA and telomer shortening does not affect cell functions in general. However, when telomers become too short the cell often enters programmed cell death. Research suggests that shortened telomers are linked to age-related ailments and diseases (1). Scott Kelly’s stay in space significantly increased his telomer length, albeit it decreased to approximately pre-flight length within 48 hours of landing on earth. Telomer lengthening would essentially suggest a beneficial impact on health but it is hard to speculate whether this is actually the case, especially since the lengthening reversed so quickly after Scott Kelly’s return to Earth. Scott Kelly (right) together with his brother, former astronaut, Mark Kelly (left). 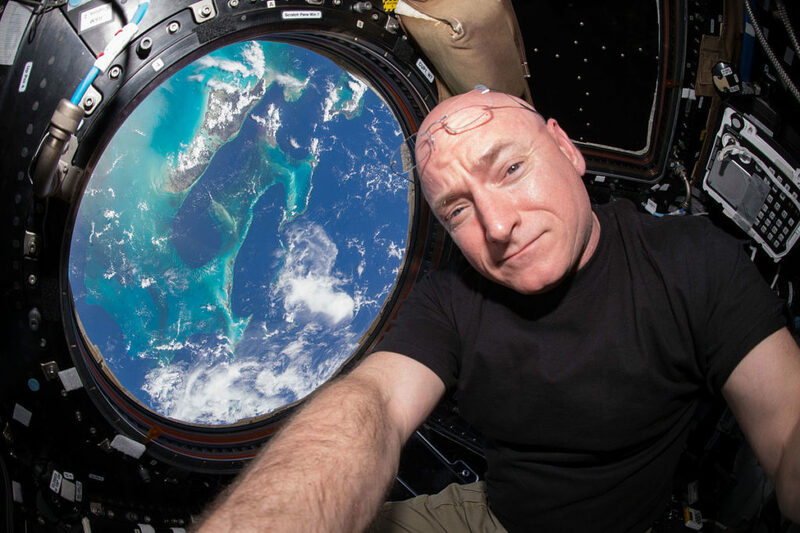 Investigation on gene expression also indicated that Scott Kelly experienced higher levels of stress during his stay in space. However, it is somewhat unclear which DNA exactly has been investigated. One article states that the DNA and RNA of white blood cells has been used (https://www.nasa.gov/feature/how-stressful-will-a-trip-to-mars-be-on-the-human-body-we-now-have-a-peek-into-what-the-nasa) and another states cell-free DNA (https://www.nasa.gov/feature/nasa-twins-study-investigators-to-release-integrated-paper-in-2018) – cell free DNA contains DNA from white blood cells but also from other cells. Eventually, we need to wait for the publication of the actual research. Nevertheless, some genes were found to be differentially expressed only after spaceflight and were therefor labelled “space genes”. The alterations infer changes in several biological pathways in the cells. The impacted pathways are associated with: 1) tissue oxygenation and increased levels of carbon dioxide in the blood, 2) increased mitochondrial stress and increased occurrence of mitochondria in the blood, which indicates some form of damage to the mitochondria, 3) DNA damage repair, potentially caused by higher levels of radiation but also by Scott Kelly’s caloric restriction during his time in space, 4) bone formation, due to zero gravity, and 5) a hyperactive immune system, potentially caused by the different environment at the International Space Station. The majority of these changes in gene expression returned to post-flight levels but, surprisingly, 7 % of the astronaut’s gene expression remained disrupted 6 months after his return to Earth. This suggest possible longer-term changes induced by staying in space for one year. Epigenetic investigations found an altered methylation pattern in several regions of the DNA of Scott’s white blood cells while he was on the ISS. These alterations returned to pre-flight state upon Scott’s return to Earth. This again could indicate potential genome damage that occurred in space. However, the results still need to be analysed. Cytokine levels in Scott’s blood, which is a marker for inflammation, indicated increased inflammation. One set of cytokines was increased throughout his stay in space and another set of cytokines was increased right after his return to Earth. The latter even remained increased for six months. Additionally, certain proteins that are involved in maintaining normal insulin activity after meals were found to be increased. However, no speculations on the consequences have been made. On the other side, staying in space for one year did not affect cognition, shown by several different tests. Neither was the immune systems response to a flu vaccine affected. The immune response of both twins to the flu vaccination was comparable and both showed increased levels immune cell production. This seems somewhat contrary to the gene expression investigations that suggested a hyperactive immune system. Although, the gut microbiome differed pre-flight and during Scott’s stay in space, notably the bacterial taxa Bacteroidetes, one of the dominant phyla of the human gut microbiome (2), was decreased, the alterations did not persist upon his return to Erath. 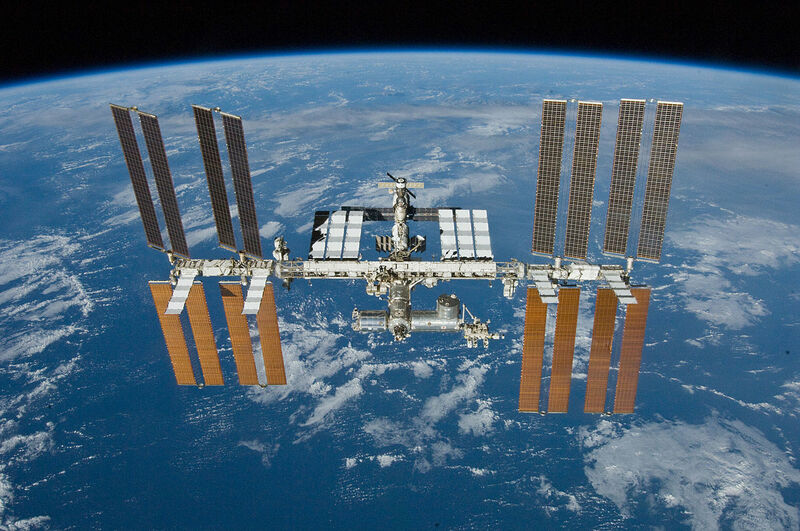 Overall, the changes were attributed to the change in diet during the stay at the ISS. Cognitive investigations found that Scott Kelly’s speed and accuracy were decreased post-flight. This could, however, be attributed to exposure and adaption to Erath’s gravity. This study aimed to gain further insight into the effects of extended time in space on the human body and contribute to the discovery of methods and technologies to support the safety of astronauts and their performance before, during and after space travel and exploration. The preliminary publication of the results is vague, however draw interest and attention to the actual publication that is planned to be released by NSA 2018. So, stay tuned for further blog post on this exceptionally interesting study. 1. Eisenberg, D.T. (2011) An evolutionary review of human telomere biology: the thrifty telomere hypothesis and notes on potential adaptive paternal effects. Am J Hum Biol. 23(2):149-67. 2. Johnson, E. L., Heaver, S. L., Walters, W. A., & Ley, R. E. (2017) Microbiome and metabolic disease: revisiting the bacterial phylum Bacteroidetes. Journal of Molecular Medicine, 95(1): 1-8. Lion’s mane (scientifically Hericium erinaceus) is an edible mushroom that has been used in traditional Chinese medicine for a long time. In recent years, this white, globular-shaped and rotund mushroom has been investigated for its beneficial effects on humans, especially for its neuron growth promoting effects in the brain (neurogenesis). NGF belongs to the protein family of neurotrophins. Research data strongly suggests that neurotrophins are essential factors for the survival and differentiation of nerve cells. Decreased production of neurotrophins seems to be involved in the development of neurodegenerative diseases. Neurotrophins would have been interesting compounds in treating neurodegenerative diseases, however, their high molecular weight prevents them from crossing the blood-brain barrier, and thus reaching the brain. The NGF-inducing hericenones and erinacines in lion’s mane mushrooms, on the other hand, seem to cross the blood brain barrier, and thus induce growth of neurons in the brain (2). In a 23 days study, mice were injected with a compound called amyloid ß peptide directly into the fluid in the brain which led to impaired learning and memory in these mice, specifically impaired spatial short-term and visual recognition memory. Administration of lion’s mane mushrooms, however, resulted in better performance in a memory test, accompanied by regaining a sense of curiosity in these memory-impaired mice. The mice spend more time exploring novel objects than mice that were not given lion’s mane mushroom. Examination of the mice brains revealed amyloid plaque formation similar to the one observed in Alzheimer’s patients. Amyloid plaques are involved in inflammation of brain tissue, impair neuron transmission, and associated with nerve degeneration. It is believed that amyloid plaque formation is a marker for Alzheimer’s disease. Overall, these results indicate that lion’s mane mushroom administration improves cognitive impairments linked to amyloid plaque formation. 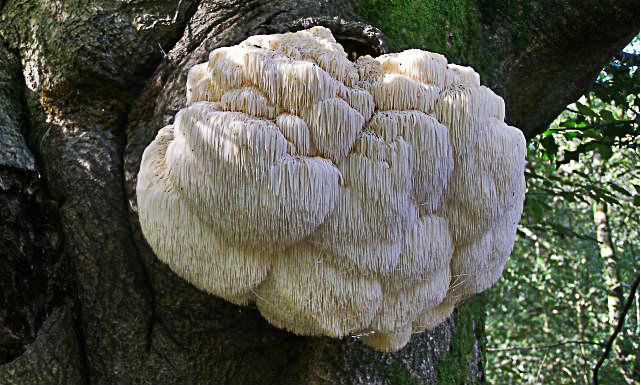 Lion’s mane mushroom could be utilised in the treatment of cognitive dysfunctions such as Alzheimer’s disease. However, lion’s mane represented 5 % of the whole mouse diet, which would translate to a substantial amount of daily human food intake. (5). The human eye (mammalian in general) holds retinal photoreceptors that have image forming and non-image forming functions. Cones and rods are mainly activated in image forming processes, whereas intrinsically-photosensitive retinal ganglion cells (ipRGC), which contain melanopsin, convey non-image forming light perception. Research in visually blind study participants, whose rods and cones did not show functional response, found a blue light effect on brain activity (measured by fMRI and EEG) during an auditory cognitive task, and, intriguingly, enhanced alertness upon blue light exposure. The researchers, therefore, proposed that the observed brain activity is mediated by melanopsin-containing ipRGCs. In a previous blog post, the beneficial effects of blue and white light exposure on alertness and cognitive functions have been discussed (Beneficial Effects of Bright Daylight and Blue Light on Human Performance). 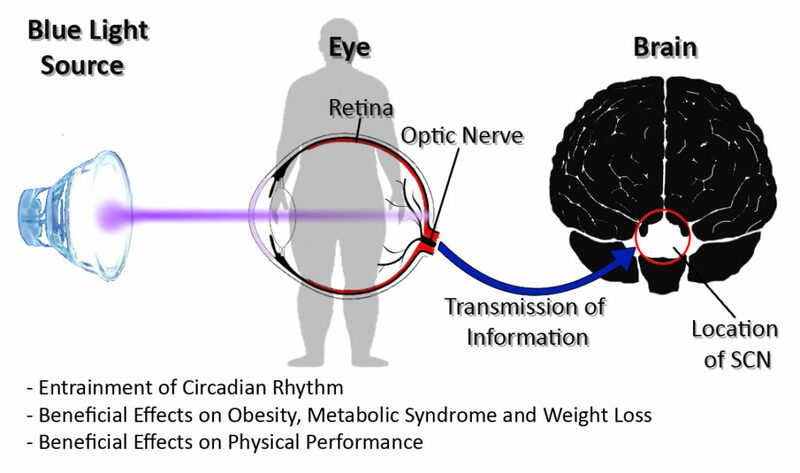 Due to its important function in regulating the circadian clock, light exposure has also been investigated for its beneficial effects on weight loss, metabolic syndrome and physical performance. Obesity and metabolic syndrome are characterised by several physical manifestations. The decisive ones are central obesity, where high level of fat are located inside the abdomen (intra-abdominal) rather than beneath the skin (subcutaneously), elevated triglyceride levels and reduced HDL cholesterol, reduced glucose tolerance, as well as increased level of markers that indicate inflammation and reduced levels of anti-inflammatory markers. Unfortunately, metabolic syndrome already became a worldwide public health concern that affects a high percentage of people between 25 and 60. It is associated with a 2.3-fold increased risk to suffer from cardiovascular disease and a 2.4-fold increased risk to die due to cardiovascular disease. On a physical level, the development and maintenance of obesity and metabolic syndrome are affected by choice of diet, overall caloric intake and physical inactivity. Interestingly, studies in mice and rats showed that the time of eating seems to impact the development of metabolic syndrome dramatically. 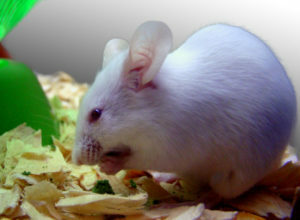 When rats were fed a high fat diet but could only eat during the time of day when rats are active – called time-restricted feeding-, which is at night, they neither develop obesity, fatty liver, nor did they show high levels of insulin in the blood or increased inflammation, contrary to mice that could eat whenever they wanted. Surprisingly, the amount of calories that were consumed by rats of both groups was essentially the same. Also, the onset of obesity in rats that had access to food whenever they wanted was corrected by time-restricted feeding, which came as a big surprise and emphasises the importance of eating time and duration. Research showed that the circadian rhythm is linked to the metabolism and its activity. Mice that had an impaired circadian rhythmicity, due to mutations in circadian clock genes, were prone to obesity and metabolic syndrome, and showed increased blood glucose, cholesterol and triglyceride levels. Based on these findings, the influence of light exposure at night on mice was investigated. Research found increased body mass in mice that were exposed to constant light or dim light during the night, which is the time of activity for mice, compared to mice that were exposed to normal day/night cycles. The mice in unnatural light conditions also showed impaired glucose tolerance, which in combination with increased body mass was interpreted as a pre-diabetic state. The detrimental effects on health occurred as early as one week after the unnatural light conditions were applied. It was also observed that mice that were exposed to dim light at night consumed significantly more food during the light phase, i.e. the time of their inactivity, compared to mice that were exposed to day/night cycles. This effect of altered eating habits on weight gain was then further investigated. When mice that lived in day/night cycles were fed only at night, they did not change their body masses or fat percentages. When mice in day/night cycles were, however, fed during their inactive phase, i.e. the day, or had access to food whenever they wanted, they gained weight and fat. Overall, these study results suggest that unnatural light conditions uncoupled activity and food consumption, and resulted in metabolic changes. This was suggested at least for mice. The researchers hypothesised an involvement of melatonin and melatonin rhythmicity in this alteration. It was found that mice that lived in constant light had blunted melatonin rhythms during the night, in combination with visceral adiposity (intra-abdominal fat accumulation). This increased fat deposition was, however, rescued by administration of melatonin. In human studies it is harder to distinguish the actual effects of time-restricted feeding from other factors. Nevertheless, it was suggested that in the course of a weight loss diet, when study participant consumed their main meal later during the day, weight loss was less compared to participants who consumed their main meal earlier. Night time eating is probably a common and widely-known reason for fat gain and obesity, as well as, which is less-known, a reason for a disruption of the circadian rhythm. Light from screens of computers and electronic device, which emit an increased amount of blue light that, in turn, affects the rhythmicity of the circadian clock, have already been suggested to increase the risk to suffer from obesity, diabetes, and metabolic disorders. Linked to the disruption of the circadian rhythm, shift work or jet lag, where the subjective night phase is interrupted by light, was found to disrupt the timing of feeding and led to weight gain in rats. When, however, the simulation of shift work and jet lag was accompanied by time-restricted feeding to the active phase, the rodents did not gain weight. Studies in humans showed that a 12 hour shift in rhythm, which occurs by crossing several time zones, resulted in decreased blood leptin levels, and high blood sugar and insulin levels (hyperglycaemia and hyperinsulinemia). Leptin is a hormone that inhibits the sensation of hunger! This indicates the high importance of food consumption during the time of natural activity instead of inactivity in terms of health. These findings in rodents and humans inferred a possible effect of targeted light exposure on weight loss. A study in overweight women (BMI 25 – 30) who did not exercise showed a mild effect of blue-enriched white light (1,300 lux) exposure in the morning for 45 minutes on weight loss. Overall, the body mass of the participants did not change, but they lost on average 0.35 kg of fat in three weeks, suggesting that blue-enriched white light affects body composition. The light-exposed group reported reduced appetite compared to the group that was not exposed to light. The researchers argued that light-mediated release of serotonin and norepinephrine in the brain and blood could be responsible for this appetite-supressing effect. More significant, a combination of calorie-reduced diet and 30 min minute walk three times a week with daily exposure to daylight (10,000 lux) for 30 minutes resulted in an average loss of 8.6 kg body mass in overweight participants in two weeks, and only 2.9 kg when the participants were exposed to dim light (500 lux) for 30 minutes. Taken together, results from animal and human studies suggest that eating during the natural active phase and an uninterrupted circadian rhythm have beneficial effects on the health. 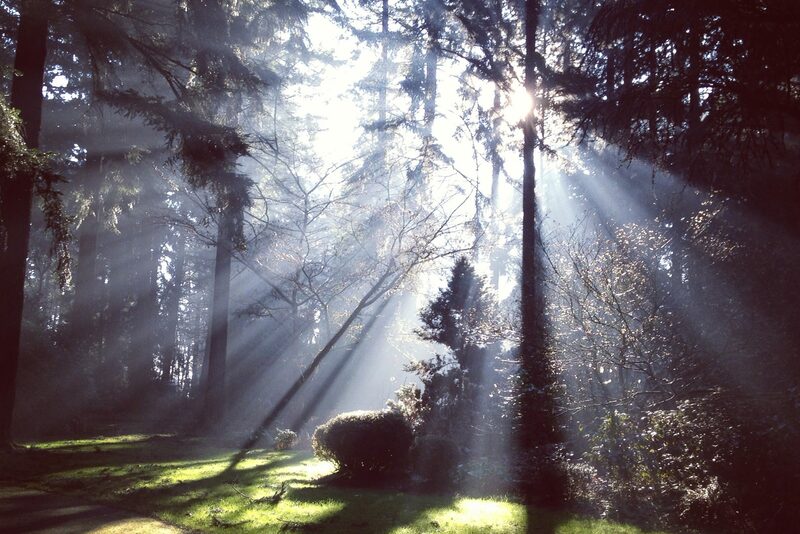 Light exposure in the morning may also modulate the metabolism and body composition. During the day, physical performance improves towards afternoon and peaks in the late afternoon and early evening. Several studies investigated the effect of light exposure on human physical performance, but the results were inconsistent. However recently, a study was carried out that considered the individual internal time of the participants and exposed them to bright white light two hours prior and during a 40 minute cycling exercise. The researchers found improved performance on the bicycle ergometer that was accompanied by elevated heart rate, increased blood lactate levels and greater subjective exertion. Crucial was that the exercise was performed approximately 14.5 hours after the individual mid-sleep of the participants. Here, bright white light exposure improved performance compared to exercising approximately 11.5 hours after mid-sleep. These results indicate a relatively small timeframe when bright white light could contribute to performance enhancement. Ekström, J.G. and Beaven, C.M. (2014) Effects of blue light and caffeine on mood. Psychopharmacology. 231, 3677-3683. Kantermann, T., Forstner, S., Halle, M., Schlangen, L., Roenneberg, T., Schmidt-Trucksäss, A. (2012) The Stimulating Effect of Bright Light on Physical Performance Depends on Internal Time. PLoS ONE 7(7), e40655. Maury, E., Hong, H.K., Bass, J. (2014) Circadian disruption in the pathogenesis of metabolic syndrome. Diabetes Metab. 40(5), 338-346. Vandewalle, G., Collignon, C., Hull, J.T., Daneault, V., Albouy, G., Lepore, F., Phillips, C., Doyon, J., Czeisler, C.A., Dumont, M., Lockley, S.W., and Carrier, J. (2013) Blue Light Stimulates Cognitive Brain Activity in Visually Blind Individuals. Journal of Cognitive Neuroscience. 25(12), 2072-2085. Fonken, L.K., Workman, J.L., Walton, J.C., Weil, Z.M., Morris, J.S., Haim, A., and Nelson, R.J. (2010) Light at night increases body mass by shifting the time of food intake. PNAS. 107 (43), 18664–18669. Danilenko, K.V., Mustafina, S.V., Pechenkina, E.A. (2013) Bright Light for Weight Loss: Results of a Controlled Crossover Trial. Obes Facts. 6:28-38. In mammals, the circadian rhythm is a central intrinsic mechanism to measure time and to regulate a wide range of processes that adjust the body to the time of day. The circadian rhythm is essentially modulated by light exposure and darkness, which are environmental cues called “zeitgeber”. In humans, blue light, including the blue light proportion of day light, is perceived by specific cells that contain the photoreceptor melanopsin and are called intrinsically-photosensitive retinal ganglion cells (ipRGCs). These cells are mainly responsible for the activation of the suprachiasmatic nucleus (SCN) in the brain. This area of the brain is also known as the master clock, and regulates the human circadian rhythm (Circadian Clock, Sleep and the Regulation of the Body). The onset of bright daylight in the morning and darkness in the evening/night play important roles in adjusting the circadian rhythm to 24 hours. The human circadian rhythm would run on a 24 hour plus 15 to 30 minutes cycle without perception of “Zeitgeber” input. Consequently, without this light-mediated adjustment called entrainment, the circadian rhythm would desynchronise and eventually be delayed by around 2.5 to 5 hours after 10 days. Besides a central function in entrainment, blue light and bright white light were shown to reduce sleepiness and fatigue, and increased alertness and cognitive functions. Significantly, these effects have been shown regardless of time of day. Exposure to blue light and bright white light resulted in alertness during both, day and night! During the night, these effects of reduced sleepiness and increased alertness seem to depend on the blue light-mediated suppression of melatonin. Studies showed reduced night-time melatonin levels in mice that were exposed to blue light for one hour during the early part of the night, in relation to mice that were kept in darkness or were exposed to red light. Conversely, blue light-mediated increase of alertness during the day, in large, seems to be independent of melatonin. Investigations suggested that melanopsin-mediated signals indirectly influence the release of norepinephrine, which is also called noradrenaline, in the brain, and that the effect of increased alertness is based on norepinephrine action. Investigations on the effects of blue and bright white light exposure of humans suggested an improvement of several functions, such as mood, reaction time, visual search, digit recall, logical reasoning and simple mathematical tasks (addition-subtraction). Cognition could be defined as the mental process of acquiring knowledge, and cognitive performance as the ability to utilise this knowledge. When office workers were exposed to blue-enriched white light, they reported subjectively improved alertness, concentration and performance, as well as reduced sleepiness, during this time. Likewise, students (between 16 and 22 years of age) that were exposed to blue-enriched white light for 45 minutes during the first school lesson of the day showed improved concentration in a test that was taken immediately after light exposure, relative to students that were exposed to standard light conditions. The study was conducted during the winter months when the absence of short wavelength light in the morning probably causes a delay of the circadian rhythm. The researchers proposed that the blue-enriched white light would improve concentration by adjusting the student’s circadian clocks to “start of the day”. Most studies that investigated the beneficial effect of blue or bright white light are of rather short duration. There are, however, longer lasting studies. One study investigated the effect of different light conditions on the academic progress of elementary school students. When students were taught in classrooms with a high degree of daylight for one year, their test scores in a mathematics and reading test were 20 % and 26 % better, respectively, compared to students who were taught in classrooms with little or no daylight. Another study also found that when students were exposed to natural light during the day, scores in mathematics test improved by up to 20 %. Peak cognitive performance in mammals is dependent on a stable circadian rhythm. A misalignment of the times of sleep and wakefulness with the internal time has been suggested to lead to an impairment of cognitive functions. When mice were continuously exposed to irregular light schedules, with 3.5 hours of white light followed by 3.5 hour of darkness, they showed impaired learning and depression-like behaviour. Interestingly, mice with a genetic defect that results in degenerated melanopsin-containing ipRGCs exhibited normal learning and behaviour/mood. Since these mice were able to perceive light for image formation, the researchers suggested a direct effect of non-image forming blue light, perceived by melanopsin-containing ipRGCs, on cognitive functions. Additionally, further investigations suggested that a sufficient duration of light exposure is needed to prompt improved cognitive performance. Shorter light exposure of less than one minute and even 18 minutes during the day led to an activation of brain areas that are associated with working memory. However, cognitive performance of the participants was not impacted. This suggested, in accordance with other studies, that a longer exposure of around one hour or more during the day is necessary to prompt improved cognitive performance. Working memory, sometimes called short term memory, could be defined as a capacity to temporarily hold information; and that is important for decision-making and reasoning. When study participants were exposed to blue light for 30 minutes during a memory test (in the afternoon), brain areas that are associated to memory maintenance and/or attention to auditory stimuli showed increased activity (determined by functional Magnetic Resonance Imaging (fMRI)). However, no significant difference in performance in a memory test was observed. This was confirmed by other fMRI-based studies. Here, white light exposure for 21 minutes or blue light exposure for 18 minutes increase the activity of brain areas associated with working memory. Eventually, a study found accelerated decision-making processes in participants that resulted in more correct responses in time when blue light was perceived. This accelerated decision-making processes was elicited by short bursts of blue light for less than one minute, as well as for extended exposure of 30 minutes or more. The retention of the faster decision-making effects was found to depend on the time of blue light exposure. The longer blue light was perceived, the longer the effect lasted after cessation of blue light exposure. The researchers speculated that this effect was caused by norepinephrine release in the brain. Caffeine has several effects on the body, including increased alertness, and enhanced cognitive functions and reaction times. However, higher doses of caffeine could cause tension, nervousness, anxiety, delay of sleep onset and reduced sleep quality. Exposing participants of a study to blue light for one hour (at 6 pm) led to a reported increased feeling of arousal similar to the one experienced after ingestion of 240 mg caffeine. Blue light exposure also seemed to improve mood, whereas caffeine did not. 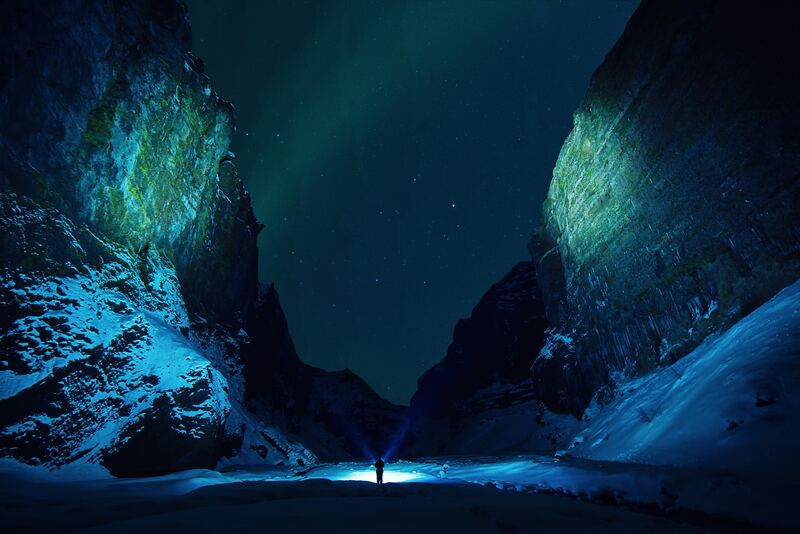 Significantly, in combination, caffeine and blue light exposure enhanced mood and arousal to a higher degree than blue light or caffeine alone, and gave the participants an overall feeling of pleasant activation. Blue light exposure for one hour was also found to improve visual reaction time and psychomotor function. Psychomotor function is the ability to process stimuli from the outside that are linked to a muscular sensation. This includes hand-eye coordination skills such as writing and throwing an object. Caffeine is commonly used to improve psychomotor function, as well as athletic skills. Blue light exposure, however, improved visual reaction time and psychomotor function more consistently compared to the administration of caffeine. Consequently, it was hypothesised that blue light exposure could be beneficial for athletic performance, especially as a lot of sports are played indoors or at night with artificial lights. Studies that investigated the stimulated brain areas during exposure to blue light found that generally longer durations of light exposure and/or higher light intensities lead to stronger and longer lasting responses. However, the stimulation of some brain areas only lasted for the duration of the light exposure, while in others the stimulation outlasted the light exposure. Overall, the effects of bright white and blue light exposure seem to be rather subtle and do not lead to huge changes in state and performance as some medication does. However, the effects seem to have a stronger impact in the long-run. Exposure to blue or bright white light for approximately one hour in the morning or before difficult cognitive tasks could be beneficial and increase the speed of information processing, as well as concentration. Alkozei, A., Smith, R. Pisner, D.A., Vanuk, J.R., Berryhill, S.M, Fridman, A., Shane, B.R., Knight, S.A., Killgore, W.D.S. (2016) Exposure to Blue Light Increases Subsequent Functional Activation of the Prefrontal Cortex During Performance of a Working Memory Task. SLEEP, 39(9), 1671-1680. Ekström, J.G. and Beaven, C.M. (2014) Effects of blue light and caffeine on mood. Psychopharmacology, 231, 3677-3683. Figueiro, M.G. and Rea, M.S. (2010) The Effects of Red and Blue Lights on Circadian Variations in Cortisol, Alpha Amylase, and Melatonin. International Journal of Endocrinology, 2010(2),829351. Heschong, L. Wright, R.L. and Okura, S. (2002) Daylighting Impacts on Human Performance in School. Journal of the Illuminating Engineering Society, 31(2), 101-114. Keis, O., Helbig, H., Streb, J., Hille, K. (2014) Influence of blue-enriched classroom lighting on students’ cognitive performance. Trends in Neuroscience and Education, 4(3-4), 86-92. LeGates, T., Altimus, C., Wang, H., Lee, H.-K., Yang, S., Zhao, H., Kirkwood, A., Weber, T., and Hattar, S. (2012) Aberrant light directly impairs mood and learning through melanopsin-expressing neurons. Nature, 491(7425),594-598. Okamoto, Y., Nakagawa, S. (2016) Effects of light wavelength on MEG ERD/ERS during a working memory task. International Journal of Psychophysiology, 104, 10-16. Shishegar, N., Boubekri, M. (2016) Natural Light and Productivity: Analyzing the Impacts of Daylighting on Students’ and Workers’ Health and Alertness. International Journal of Advances in Chemical Engineering & Biological Sciences (IJACEBS), 3(1), 72-77. Vandewalle, G., Gais, S., Schabus, M., Balteau, E., Carrier, J., Darsaud, A., Sterpenich, V., Albouy, G., Dijk, D.J. and Maquet , P. (2007) Wavelength-Dependent Modulation of Brain Responses to a Working Memory Task by Daytime Light Exposure. Cerebral Cortex, 17, 2788-2795. Vandewalle, G., Maquet, P. and Dijk, D.-J. (2009) Light as a modulator of cognitive brain Function. Trends in Cognitive Sciences, 13(10), 429-438. The circadian rhythm, also called circadian clock or just inner clock, is the endogenous capability of an organism to retain a 24 h rhythm without being exposed to environmental stimuli that indicate the time of day. Animals, plants and even fungi generate a circadian rhythm and plays a major role in daily live. For humans it is the mechanism to regulate sleep and wakefulness. Interestingly, during the first half year of life, as infants, humans do not have a working circadian rhythm, which explains why babies have an erratic sleeping pattern. They wake up in the middle of the night and are wide awake, much to the suffering of the parents. At around three to six months of age, the circadian clock starts to get established, and babies begin to sleep at night and are awake during the day. How are sleep and wakefulness regulated? There are two mechanisms or systems that take care of sleep and wakefulness. This first is the “sleep and wake homoeostasis”, which is a balance-system of sleep and wakefulness. It measures the ratio of both, and in case of insufficient sleep over a longer period of time the need for sleep will accumulate, resulting in the enhanced feeling of sleepiness. The sleep-wake homoeostasis system is also responsible for continuous sleep throughout the night. The second regulator of sleep and wakefulness is the circadian clock, and it regulates the timing of both states. In general, the circadian clock’s strongest effect on sleep occurs between 2 and 4 o’clock at night, when people are in their deepest sleep. At this time, the body’s production of the sleep hormone melatonin is at its highest level. Upon awakening in the morning, melatonin levels are strongly reduced, and instead stress hormone levels, such as cortisol, rise. This is also the time when the circadian clock ensures that the body’s digestive system is animated and that the brain starts to reach peak performance; ready for analysing, decision making, altogether ready for work. In the afternoon, the circadian clock improves motor-control to ensure peak physically performance. In the evening, the circadian clock prepares the organism for sleep by slowing down the metabolism, reducing stress-hormone levels and again increasing melatonin levels that reach peak levels between 2 and 4 o’clock at night; thereby closing the cycle. Overall, the circadian clock gets the organism into a rhythm that attunes it for reoccurring events and regulates daily processes. But how is rhythm regulated? Light and darkness are the key players here, especially the timing when they are perceived. 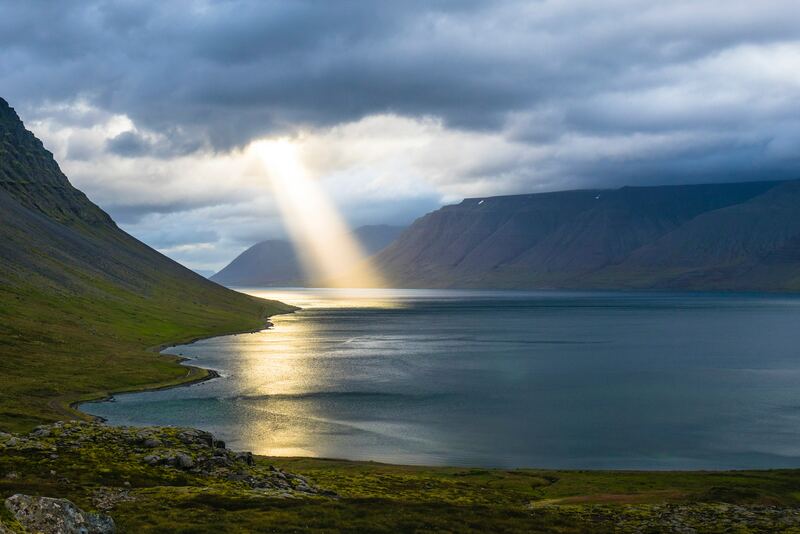 Light, obviously, is sensed by specific photoreceptors of the eye’s retina. Studies in rodents found that entrainment of the circadian rhythm depends on melanopsin that has peak sensitivity to light of around 480 nm wavelength, and opsin of the cones that has peak sensitivity to light of above 500 nm wavelength (middle wavelength-opsin in the outer retina). Therefore, melanopsin perceive the blue light proportion of daylight and conveys blue light signals. The participation of other retina photopigments in entrainment is, however, not excluded. The subsequently created signal is transferred to an area in the brains that is part of the hypothalamus and is called Suprachiasmatic Nucleus (SCN), or “master clock”. During the day, melanopsin-mediated stimulation of the SCN prevents the production of the sleep hormone melatonin, resulting in wakefulness. Conversely, during the evening/night, when blue light mediated stimulation of the SCN is reduced, melanin is produced, resulting in sleepiness. The SCN is also responsible for the downregulation of the core body temperature at this time. Thus, the feeling of being cold is much stronger during the night. The inhibiting effect of blue light on the melatonin production at night could results in low-quality sleep during the night. This is where people’s most common hobby, work and general pursuit come into play: computers, tablets, phones and their screens. They emit blue light and we use them until late at night; we have a quick look at our phones before we go to sleep. By doing so, the circadian clock gets jumbled and, thereby, the whole day-night rhythm. This could results in difficulties to fall asleep, light sleep and a feeling of being unrested. Interruptions of sleep at night should be avoided, and in case that this is not possible, for instance by a visit of the bathroom, light should not be switched on. Of course only in case it is ensured that movement in the house, flat, rooms, and so on, during darkness is safe! It is important to realise that closed eyes do not prevent light from being perceived and the resulting signal from being transferred to the SCN. Sleeping when the sun is up will not allow for the most restful sleep. The bedroom should be dark, or, as an alternative, a dark sleeping mask cold be worn. Screens, especially mobile phone and computer screens, emit a high proportion of blue light. Avoidance of looking at screens before bedtime would be very beneficial for sleep onset and sleep quality. Alternatively, the program f.lux® could be utilised. It tracks sunset and gradually changes the colours of the light emitted by the computer and mobile phone screen, removing the blue light proportion at night. Also, blue light blocking glasses could be worn in the evening and at night. Panda, S. (2007) Multiple Photopigments Entrain the Mammalian Circadian Oscillator. Neuron 53, 619-621. Partch, C.L., Green, C.B., and Takahashi, J.S. (2014) Molecular Architecture of the Mammalian Circadian Clock. Trends Cell Biol.24(2), 90-99. 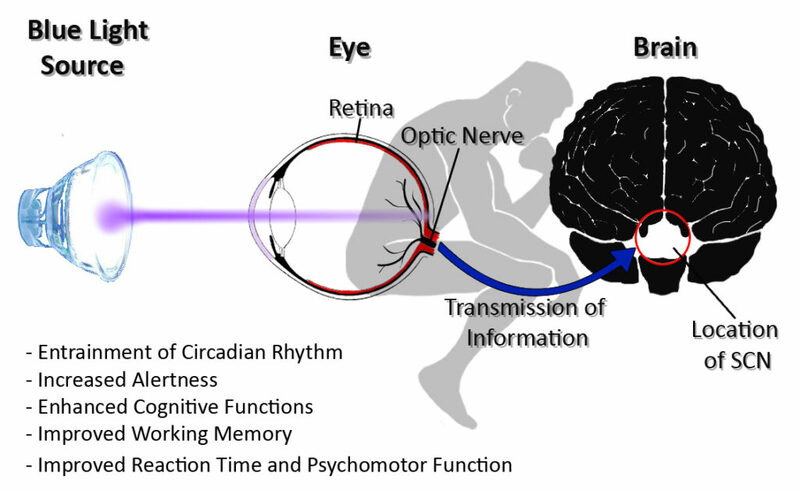 Tosini, G., Ferguson, I., Tsubota, K. (2016) Effects of blue light on the circadian system and eye physiology. Molecular Vision 22, 61-72.